A tour of the Spookers Haunted House with 1 "in character" tour guide, plus a self-guided tour of Disturbia in 3D. There are no other actors. The tour consists of some scares, along with a behind the scenes tour, where you will learn some of the secrets of the world famous Spookers experience. We use experienced professional scare actors who are able to change the level of scares and frights to suit the age of the victims. Older children and adults will definitely love the experience, as it is dialled up a notch or two! 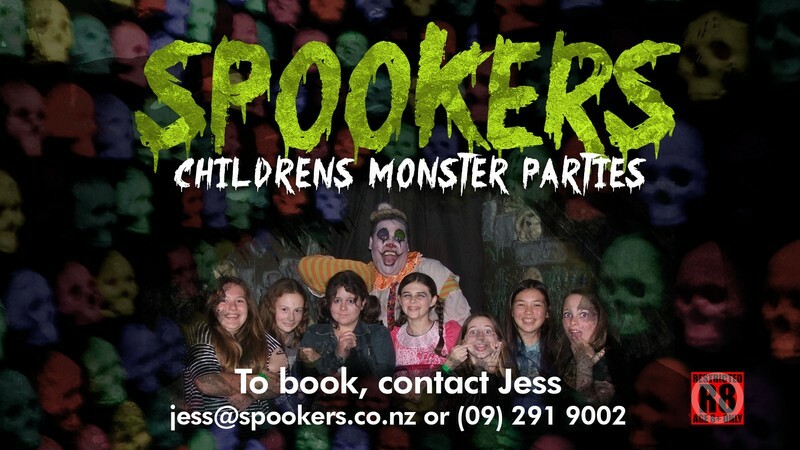 Combine your visit with a Spookers birthday party for your child, to make you the most popular parents in the school. 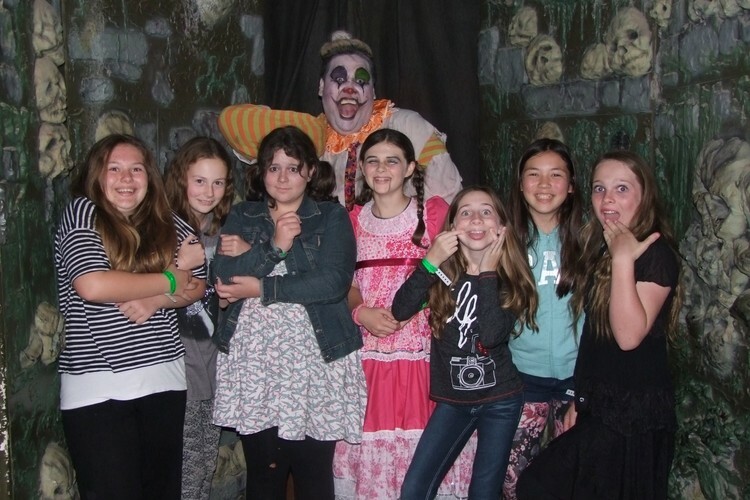 Parties are held in our themed Banquet Hall and can include SFX makeup for the children. Be warned that there is some fairly graphic gore in several of the rooms. The tour guide will make every attempt to vary the tour to suit the participants’ tolerance level, but we cannot guarantee that every child will cope well. Please use your discretion. R8: For Ages 8 years and older.